Now this makes me proud to be an American. 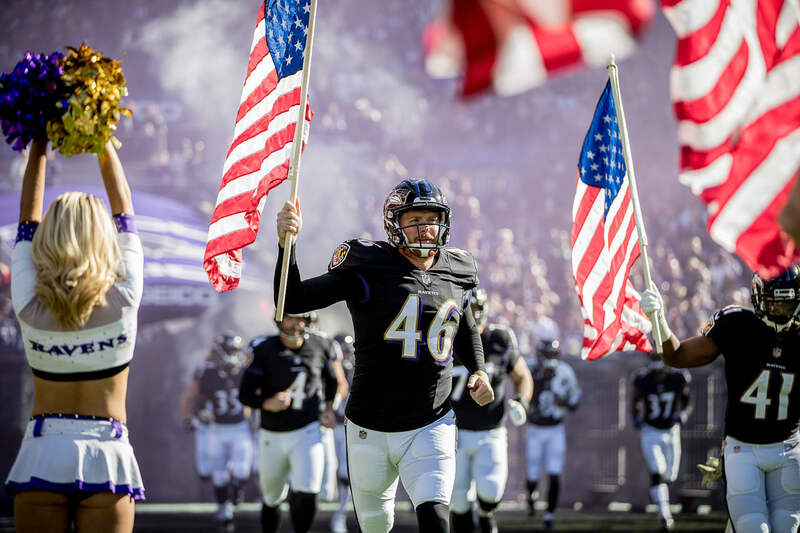 “Salute to service” during Ravens-Steelers game. A few months ago, I was talking to a researcher about the Pentagon, the military-industrial complex, and America’s fourth (and most powerful?) branch of government: the national security state. After talking about the enormous sweep and power of these entities, she said to me, it’s the elephant in the room, isn’t it? More than that, I replied: It’s the rampaging herd of elephants in the room. Even so, we prefer to ignore the herd, even as it dominates and destroys. This thought came back to me as I read Danny Sjursen’s recent article at Antiwar.com. His main point was that enormous Pentagon spending and endless wars went undebated during this election cycle. President Trump preferred to talk of “invasions” by caravans of “criminals,” when not denigrating Democrats as a mutinous mob; the Democrats preferred to talk of health care and coverage for preexisting conditions, when not attacking Trump as hateful and reckless. No one wanted to talk about never-ending and expanding wars in the Greater Middle East and Africa, and no one in the mainstream dared to call for significant reductions in military spending. 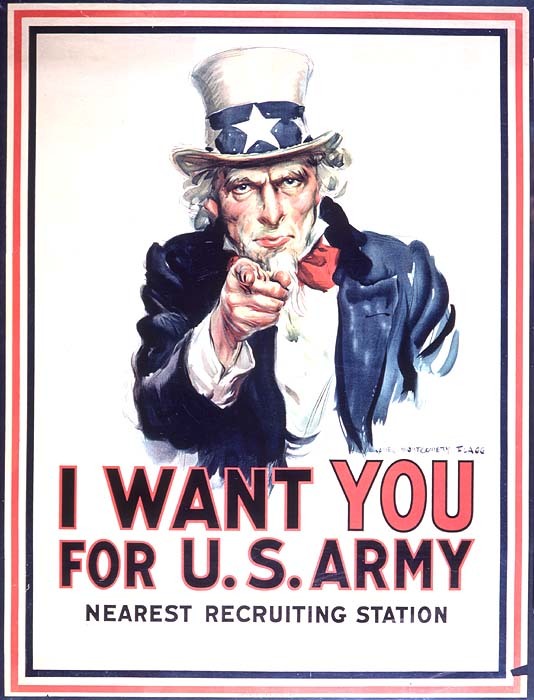 So long as there is no conscription of Americans’ sons and daughters, and so long as taxes don’t rise (we simply put our wars on the national credit card), the people are quite content to allow less than 1% of the population [to] fight the nation’s failing wars – with no questions asked. Both mainstream wings of the Republicans and Democrats like it that way. They practice the politics of distraction and go on tacitly supporting one indecisive intervention after another, all the while basking in the embarrassment of riches bestowed upon them by the corporate military industrial complex. Everyone wins, except, that is, the soldiers doing multiple tours of combat duty, and – dare I say – the people of the Greater Middle East, who live in an utterly destabilized nightmare of a region. Why should we be surprised? The de facto “leaders” of both parties – the Chuck Schumers, Joe Bidens, Hillary Clintons and Mitch McConnells of the world – all voted for the 2002 Iraq War resolution, one of the worst foreign policy adventures in American History. Sure, on domestic issues – taxes, healthcare, immigration – there may be some distinction between Republican and Democratic policies; but on the profound issues of war and peace, there is precious little daylight between the two parties. That, right there, is a formula for perpetual war. When I lived in England in the early 1990s, the way people marked Veterans or Armistice Day was with a simple poppy. I recall buying one from a veteran who went door-to-door to raise funds to support indigent vets. Students of military history will know that many young men died in World War I in fields of poppies. Thus the poppy has become a simple yet powerful symbol of sacrifice, loss, and gratitude for those who went before us to defend freedom. No poppies for us. Instead, Americans are encouraged to buy expensive NFL clothing that is modeled on military uniforms. Once again, we turn war into sport, perhaps even into a fashion statement. Read the rest of Tom’s article here at TomDispatch.com. I’m a fan of books and book sales. A few weeks ago, I came across a vintage copy of Hugh Prather’s “Notes to Myself.” Published in 1970, it caught the Zeitgeist of the “Age of Aquarius” and became a surprise best seller. Its considerable influence is shown by the fact it was lampooned on “Saturday Night Live” as part of the “Deep Thoughts” series. Some of Prather’s “notes” are solipsistic and more than a little pretentious, a fact he himself recognized, but some of them also have considerable depth of meaning. looking for reasons to justify the continuation. When I read this, I instantly thought of U.S. strategy when it comes to the Middle East. I recently read Colonel (ret.) Andrew Bacevich’s new book, “America’s War for the Greater Middle East,” and Prather’s note could serve as an epigraph to the book, and an epitaph to U.S. wars and policy in the Middle East. Despite a painfully expensive and tragically wasteful record of militarized interventions in Iraq, Afghanistan, Lebanon, Iran, Somalia, Libya, and many other countries throughout the greater Middle East, the U.S. military and foreign policy establishment persists in staying its presence course. Sure, the tactics have changed slightly over the years. Obama is less enamored of committing big battalions of ground troops than Bush/Cheney were, yet his administration is nevertheless committed to constant military interventions, misguided and one-sided relationships with Israel and Saudi Arabia, and unwavering optimism that this time, maybe this time, we’ll finally build effective Iraqi (or Afghan) security forces while simultaneously encouraging liberty in the region by sending more U.S. troops and selling more weaponry (together with bombing and killing, of course). Consistent with what Prather says, it looks “for reasons to justify the continuation” of present policy, even when it knows things are going wrong in a very bad way. Perhaps the U.S. national security state needs to make some “notes to itself.” Consider it a personal audit of sorts, since the Pentagon can’t pass a financial one. If it ever does, Prather’s “note” above would be a good place to start. Dan White’s article on Admiral (retired) McRaven’s new job as Chancellor of the University of Texas system provides a warning that must be heeded. There is dangerous intent behind the appointment of military flag officers and national security operatives to leading public college and university leadership positions. The political elites, who usually appoint their like-minded allies to the governing boards of these institutions, see students in these public institutions of learning as potential activists against the status quo (as they were during the Vietnam War era). The governing boards usually vet the candidates for this office and thus want the candidate to mirror their own views of “national interests.” Those “interests” don’t include critical thinking or the idea of questioning authority. Appointing a proven supporter (like McRaven) of the elites’ view of “national interest” in times like these, when their “interest” involves issues at variance with the common good, is looked at as a judicious decision. That means putting people into these offices who support the Patriot Act and its assault on citizens’ rights of free speech and assembly. It also means appointing people who support the government in its pursuit of perpetual war. McRaven’s appointment to the University of Texas and the ridiculous appointment of Janet Napolitano, former head of the police state agency known as “Homeland Security,” as President of the university system of California are prime examples of this tendency. These selections show absolutely no interest in education but rather in administering and enforcing a sheep-like faculty and student body in these important institutions that otherwise could and should foster the serious questioning of our government and our oligarchical elites. The elites know that stuffed shirts like McRaven and Napolitano can be counted on to foster bland conformity and blind compliance. That’s exactly why they’re hired for these offices. They work to ensure the subservience of higher education to the national security state. California and Texas are two of the biggest public university systems in the country. Is it any accident they are controlled by Napolitano and McRaven, both former operatives and enforcers in the national security state? Be afraid, America, as the national security state reaches out to control the message of higher education as well as professional sports. High culture, low culture, it doesn’t matter. The power elites want to control it all. Awaken, patriotic American citizens, and resist. 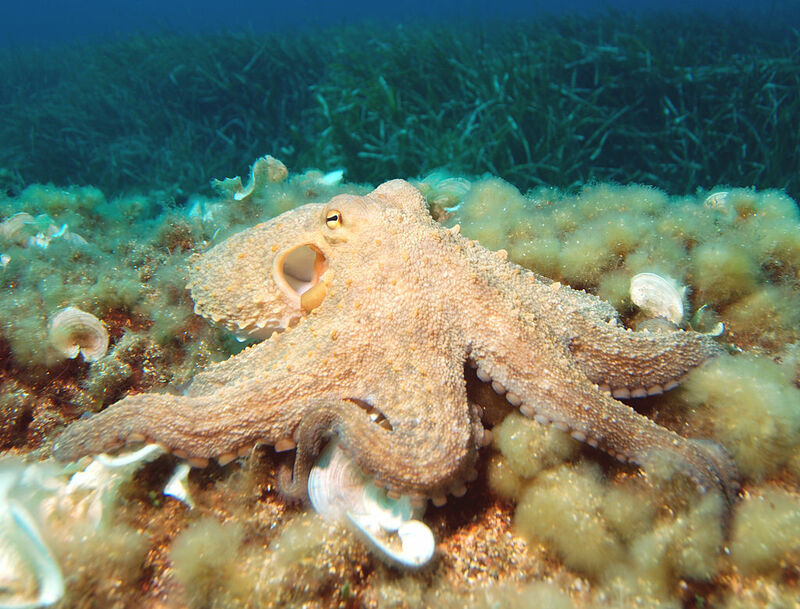 Don’t let the national security state’s tentacles reach into more and more aspects of your and your children’s lives. 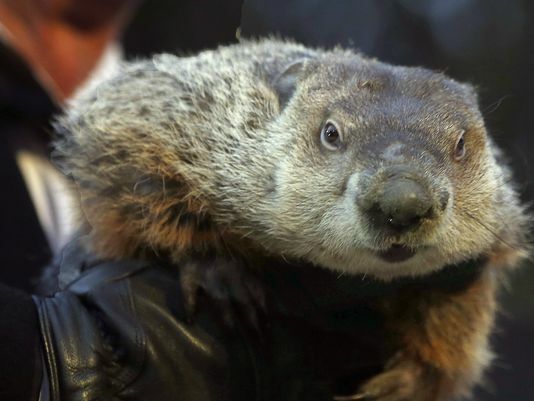 In America’s war on terror, the groundhog always sees its own shadow, meaning six (or more) years of additional war. War is indeed the new normal in America, as I argue in this article today for TomDispatch.com. It was launched immediately after the 9/11 attacks, when I was still in the military, and almost immediately became known as the Global War on Terror, or GWOT. Pentagon insiders called it “the long war,” an open-ended, perhaps unending, conflict against nations and terror networks mainly of a radical Islamist bent. It saw the revival of counterinsurgency doctrine, buried in the aftermath of defeat in Vietnam, and a reinterpretation of that disaster as well. Over the years, its chief characteristic became ever clearer: a “Groundhog Day” kind of repetition. Just when you thought it was over (Iraq, Afghanistan), just after victory (of a sort) was declared, it began again. Now, as we find ourselves enmeshed in Iraq War 3.0, what better way to memorialize the post-9/11 American way of war than through repetition. Back in July 2010, I wrote an article for TomDispatch on the seven reasonswhy America can’t stop making war. More than four years later, with the war on terror still ongoing, with the mission eternally unaccomplished, here’s a fresh take on the top seven reasons why never-ending war is the new normal in America. In this sequel, I make only one promise: no declarations of victory (and mark it on your calendars, I’m planning to be back with seven new reasons in 2019). 1. The privatization of war: The U.S. military’s recourse to private contractors has strengthened the profit motive for war-making and prolonged wars as well. Unlike the citizen-soldiers of past eras, the mobilized warrior corporations of America’s new mercenary moment — the Halliburton/KBRs (nearly $40 billion in contracts for the Iraq War alone), the DynCorps ($4.1 billion to train 150,000 Iraqi police), and the Blackwater/Xe/Academis ($1.3 billion in Iraq, along with boatloads of controversy) — have no incentive to demobilize. Like most corporations, their business model is based on profit through growth, and growth is most rapid when wars and preparations for more of them are the favored options in Washington. “Freedom isn’t free,” as a popular conservative bumper sticker puts it, and neither is war. My father liked the saying, “He who pays the piper calls the tune,” and today’s mercenary corporations have been calling for a lot of military marches piping in $138 billion in contracts for Iraq alone, according to the Financial Times. And if you think that the privatization of war must at least reduce government waste, think again: the Commission on Wartime Contracting in Iraq and Afghanistan estimated in 2011 that fraud, waste, and abuse accounted for up to $60 billion of the money spent in Iraq alone. 2. The embrace of the national security state by both major parties:Jimmy Carter was the last president to attempt to exercise any kind of control over the national security state. A former Navy nuclear engineer who had served under the demanding Admiral Hyman Rickover, Carter cancelled the B-1 bomber and fought for a U.S. foreign policy based on human rights. Widely pilloried for talking about nuclear war with his young daughter Amy, Carter was further attacked for being “weak” on defense. His defeat by Ronald Reagan in 1980 inaugurated 12 years of dominance by Republican presidents that opened the financial floodgates for the Department of Defense. That taught Bill Clinton and the Democratic Leadership Council a lesson when it came to the wisdom of wrapping the national security state in a welcoming embrace, which they did, however uncomfortably. This expedient turn to the right by the Democrats in the Clinton years served as a temporary booster shot when it came to charges of being “soft” on defense — until Republicans upped the ante by going “all-in” on military crusades in the aftermath of 9/11. Since his election in 2008, Barack Obama has done little to alter the course set by his predecessors. He, too, has chosen not to challenge Washington’s prevailing catechism of war. Republicans have responded, however, not by muting their criticism, but by upping the ante yet again. How else to explain House Speaker John Boehner’s invitation to Israeli Prime Minister Benjamin Netanyahu to address a joint session of Congress in March? That address promises to be a pep talk for the Republicans, as well as a smack down of the Obama administration and its “appeasenik” policies toward Iran and Islamic radicalism. Serious oversight, let alone opposition to the national security state by Congress or a mainstream political party, has been missing in action for years and must now, in the wake of the Senate Torture Report fiasco (from which the CIAemerged stronger, not weaker), be presumed dead. The recent midterm election triumph of Republican war hawks and the prospective lineup of candidates for president in 2016 does not bode well when it comes to reining in the national security state in any foreseeable future. 3. “Support Our Troops” as a substitute for thought. You’ve seen them everywhere: “Support Our Troops” stickers. In fact, the “support” in that slogan generally means acquiescence when it comes to American-style war. The truth is that we’ve turned the all-volunteer military into something like aforeign legion, deploying it again and again to our distant battle zones and driving it into the ground in wars that amount to strategic folly. Instead of admitting their mistakes, America’s leaders have worked to obscure them by endlessly overpraising our “warriors” as so many universal heroes. This may salve our collective national conscience, but it’s a form of cheap grace that saves no lives — and wins no wars. Instead, this country needs to listen more carefully to its troops, especially the war critics who have risked their lives while fighting overseas. Organizations like Iraq Veterans Against the War and Veterans for Peace are good places to start. 4. Fighting a redacted war. War, like the recent Senate torture report, is redacted in America. Its horrors and mistakes are suppressed, its patriotic whistleblowers punished, even as the American people are kept in a demobilized state. The act of going to war no longer represents the will of the people, as represented by formal Congressional declarations of war as the U.S. Constitution demands. Instead, in these years, Americans were told togo to Disney World (as George W. Bush suggested in the wake of 9/11) and keep shopping. They’re encouraged not to pay too much attention to war’s casualties and costs, especially when those costs involve foreigners with funny-sounding names (after all, they are, as American sniper Chris Kyle so indelicately put it in his book, just “savages”). Redacted war hides the true cost of a permanent state of killing from the American people, if not from foreign observers. Ignorance and apathy reign, even as a national security state that is essentially a shadow governmentequates its growth with your safety. 5. Threat inflation: There’s nothing new about threat inflation. We saw plenty of it during the Cold War (nonexistent missile and bomber gaps, for example). Fear sells and we’ve had quite a dose of it in the twenty-first century, from ISIS to Ebola. But a more important truth is that fear is a mind-killer, a debate-stifler. Back in September, for example, Senator Lindsey Graham warned that ISIS and its radical Islamic army was coming to America to kill us all. ISIS, of course, is a regional power with no ability to mount significant operations against the United States. But fear is so commonplace, so effectively stoked in this country that Americans routinely and wildly exaggerate the threat posed by al-Qaeda or ISIS or the bogeyman du jour. Think of all this as a global matrix that rests on war, empowering disaster capitalism and the corporate complexes that have formed around the Pentagon, the Department of Homeland Security, and that intelligence community. A militarized matrix doesn’t blink at $1.45 trillion dollars devoted to the F-35, a single under-performing jet fighter, nor at projections of $355 billion over the next decade for “modernizing” the U.S. nuclear arsenal, weapons that Barack Obama vowed to abolish in 2009. 7. The new “normal” in America is war: The 9/11 attacks happened more than 13 years ago, which means that no teenagers in America can truly remember a time when the country was at peace. “War time” is their normal; peace, a fairy tale. What’s truly “exceptional” in twenty-first-century America is any articulated vision of what a land at peace with itself and other nations might be like. Instead, war, backed by a diet of fear, is the backdrop against which the young have grown to adulthood. It’s the background noise of their world, so much a part of their lives that they hardly recognize it for what it is. And that’s the most insidious danger of them all. How do we inoculate our children against such a permanent state of war and the war state itself? I have one simple suggestion: just stop it. All of it. Stop making war a never-ending part of our lives and stop celebrating it, too. War should be the realm of the extreme, of the abnormal. It should be the death of normalcy, not the dreary norm. It’s never too soon, America, to enlist in that good fight! William J. Astore, a retired lieutenant colonel (USAF), is a TomDispatch regular. His D.Phil. is in Modern History from the University of Oxford. He’s just plain tired of war and would like to see the next politician braying for it be deployed with a rifle to the front lines of battle. He edits the blog The Contrary Perspective. Bush rebranded as a war president: Mission Accomplished! The United States continues to insert the bodies of its troops into leaky Iraqi and Afghan dikes. That’s the image that came to mind with the recent news from Iraq and Afghanistan. More American “advisers” and weapons being sent to Iraq. The revival of night raids by U.S. Special Forces in Afghanistan. No matter the piss-poor results in Iraq or Afghanistan, the U.S. continues to double down on losing hands. Why is there no learning curve in Washington? A big reason is that President Obama’s decisions have been, are, and will be driven by domestic politics. The Democrats don’t dare withdraw from either war since ISIS or the Taliban would grow in strength (at least in the short-term), and the Republicans would eagerly blame the Democrats for “losing” wars that George W. Bush and General David Petraeus and U.S. troops had allegedly won. The cynical Democratic solution to this dilemma is to plug the Iraqi and Afghan dikes with more U.S. troops (and, most likely, more casualties) until after the election of 2016. Domestic political advantage is often the major reason for continued folly in lost wars. We saw it in Vietnam: neither LBJ nor Nixon wanted to be seen as having “lost” Vietnam. Nixon in particular had his eye on the election of 1972 as well as on posterity as he made decisions about the war. America’s wars overseas are far too often driven by public relations for domestic consumption. Consider the invasion of Iraq in 2003 and the Bush Administration’s announcement of “Mission Accomplished,” a staged Hollywood photo op meant to cement Bush’s status domestically as a war leader. 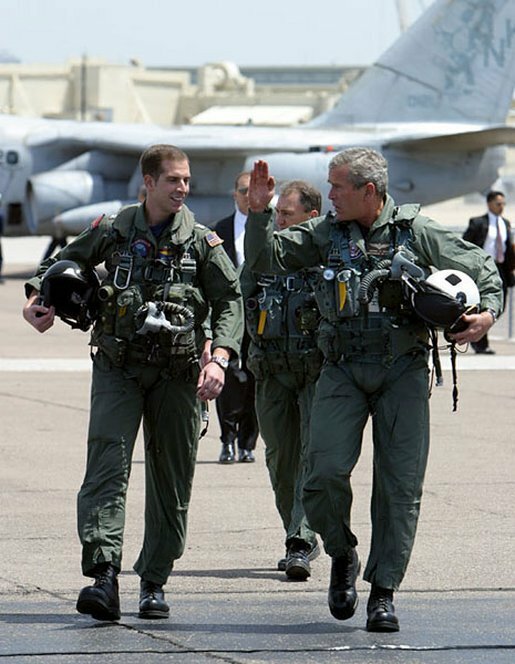 Far better it was to have an image of co-pilot Bush landing in a flight suit on an aircraft carrier than one of a befuddled Bush reading about pet goats to schoolchildren on the morning of 9/11. Obama is hardly guiltless here. Even as he questioned the Iraq war, he ran in 2008 on the idea of Afghanistan being the necessary war, thus immunizing himself from charges of being “soft” on defense. Afghanistan is no closer to being “won” for the U.S. today than it was six years ago, yet Obama’s folly continues, aggravated by recent orders to return American troops to Iraq. Internationally, it’s strategic folly for the U.S. to persist in these wars. But domestically, endless wars act as a coat of armor to deflect charges of being a wimp (for Obama) or of being incompetent (for Bush after 9/11). With his drone strikes, Obama has become the assassin-in-chief, even as Bush with the invasions of Afghanistan and Iraq became the “war president” (at least in his own mind, together with the minds of a subservient and fawning media). Christ said, “Blessed are the peacemakers,” but America has no time for peace. Not when “peace” leaves one open to political charges of being an un-American wimp and loser. Want to help change this? At the very least, vote for the candidate in 2016 who vows to end America’s wars in Iraq and Afghanistan. Vote for the candidate who vows to end the practice of stuffing American bodies into so many of the world’s leaky dikes. Vote for the candidate who stands for peace rather than for war. Regardless of the election results, that candidate won’t be a “loser.” For in America today, in a land tortured by gusty winds of war, it’s far gutsier to stand for peace. I spent four college years in the Reserve Officers’ Training Corps (ROTC) and then served 20 years in the U.S. Air Force. In the military, especially in basic training, you have no privacy. The government owns you. You’re “government issue,” just another G.I., a number on a dogtag that has your blood type and religion in case you need a transfusion or last rites. You get used to it. That sacrifice of individual privacy and personal autonomy is the price you pay for joining the military. Heck, I got a good career and a pension out of it, so don’t cry for me, America. But this country has changed a lot since I joined ROTC in 1981, was fingerprinted, typed for blood, and otherwise poked and prodded. (I needed a medical waiver for myopia.) Nowadays, in Fortress America, every one of us is, in some sense, government issue in a surveillance state gone mad. 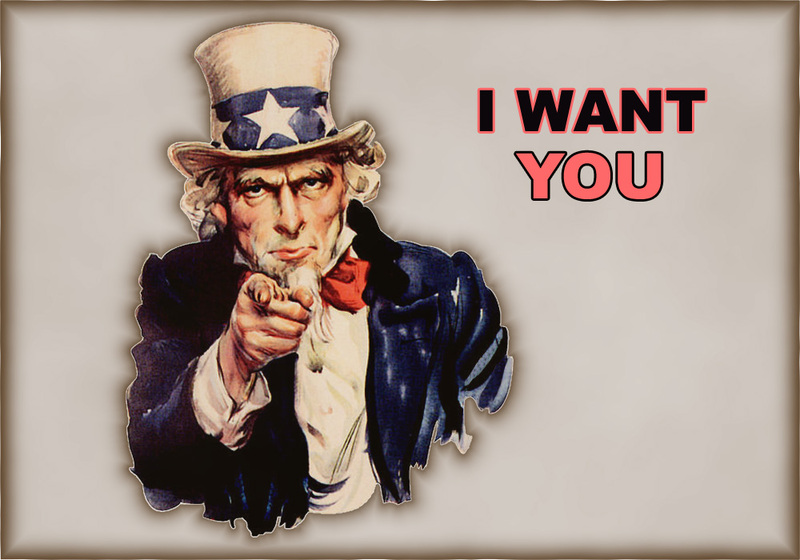 Unlike the recruiting poster of old, Uncle Sam doesn’t want you anymore — he already has you. You’ve been drafted into the American national security state. That much is evident from Edward Snowden’s revelations. Your email? It can be read. Your phone calls? Metadata about them is being gathered. Your smartphone? It’s a perfect tracking device if the government needs to find you. Your computer? Hackable and trackable. Your server? It’s at their service, not yours. Consider us all recruits, more or less, in the new version of Fortress America, of an ever more militarized, securitized country. Renting a movie? Why not opt for the first Captain America and watch him vanquish the Nazis yet again, a reminder of the last war we truly won? Did you head for a baseball park on Memorial Day? What could be more American or more innocent? So I hope you paid no attention to all those camouflaged caps and uniforms your favorite players were wearing in just another of an endless stream of tributes to our troops and veterans. Let’s hear no whining about militarized uniforms on America’s playing fields. After all, don’t you know that America’s real pastime these last years has been war and lots of it? Think of the irony. The Vietnam War generated an unruly citizen’s army that reflected an unruly and increasingly rebellious citizenry. That proved more than the U.S. military and our ruling elites could take. So President Nixon ended the draft in 1973 and made America’s citizen-soldier ideal, an ideal that had persisted for two centuries, a thing of the past. The “all-volunteer military,” the professionals, were recruited or otherwise enticed to do the job for us. No muss, no fuss, and it’s been that way ever since. Plenty of war, but no need to be a “warrior,” unless you sign on the dotted line. It’s the new American way. But it turned out that there was a fair amount of fine print in the agreement that freed Americans from those involuntary military obligations. Part of the bargain was to “support the pros” (or rather “our troops”) unstintingly and the rest involved being pacified, keeping your peace, being a happy warrior in the new national security state that, particularly in the wake of 9/11, grew to enormous proportions on the taxpayer dollar. Whether you like it or not, you’ve been drafted into that role, so join the line of recruits and take your proper place in the garrison state. If you’re bold, gaze out across the increasingly fortified and monitoredborders we share with Canada and Mexico. (Remember when you could cross those borders with no hassle, not even a passport or ID card? I do.) Watch for those drones, home from the wars and already hovering in or soon to arrive in your local skies — ostensibly to fight crime. Pay due respect to your increasingly up-armored police forces with their automatic weapons, their special SWAT teams, and their converted MRAPs (mine-resistant ambush protected vehicles). These vintage Iraqi Freedom vehicles are now military surplus given away or sold on the cheap to local police departments. Be careful to observe their draconian orders for prison-like “lockdowns” of your neighborhood or city, essentially temporary declarations of martial law, all for your safety and security. Be a good trooper and do what you’re told. Stay out of public areas when you’re ordered to do so. Learn to salute smartly. (It’s one of the first lessons I was taught as a military recruit.) No, not that middle-finger salute, you aging hippie. Render a proper one to those in authority. You had best learn how. Or perhaps you don’t even have to, since so much that we now do automatically is structured to render that salute for us. Repeated singings of “God Bless America” at sporting events. Repeated viewings of movies that glorify the military. (Special Operations forces are a hot topic in American multiplexes these days from Act of Valor to Lone Survivor.) Why not answer the call of duty by playing militarized video games like Call of Duty? Indeed, when you do think of war, be sure to treat it as a sport, a movie, a game. I’ve been out of the military for nearly a decade, and yet I feel more militarized today than when I wore a uniform. That feeling first came over me in 2007, during what was called the “Iraqi surge” — the sending of another 30,000 U.S. troops into the quagmire that was our occupation of that country. It prompted my first article for TomDispatch. I was appalled by the way our civilian commander-in-chief, George W. Bush, hid behind the beribboned chest of his appointed surge commander, General David Petraeus, to justify his administration’s devolving war of choice in Iraq. It seemed like the eerie visual equivalent of turning traditional American military-civilian relationships upside down, of a president who had gone over to the military. And it worked. A cowed Congress meekly submitted to “King David” Petraeus and rushed to cheer his testimony in support of further American escalation in Iraq. Since then, it’s become a sartorial necessity for our presidents to donmilitary flight jackets whenever they address our “warfighters” as a sign both of their “support” and of the militarization of the imperial presidency. (For comparison, try to imagine Matthew Brady taking a photo of “honest Abe” in the Civil War equivalent of a flight jacket!) It is now de rigueur for presidents to praise American troops as “the finest military in world history” or, as President Obama typically said to NBC’s Brian Williams in aninterview from Normandy last week, “the greatest military in the world.” Even more hyperbolically, these same troops are celebrated across the country in the most vocal way possible as hardened “warriors” andbenevolent freedom-bringers, simultaneously the goodest and the baddest of anyone on the planet — and all without including any of the ugly, as in the ugliness of war and killing. Perhaps that explains why I’ve seen military recruitment vans (sporting video game consoles) at the Little League World Series in Williamsport, Pennsylvania. Given that military service is so beneficent, why not get the country’s 12-year-old prospects hopped up on the prospect of joining the ranks? Too few Americans see any problems in any of this, which shouldn’t surprise us. After all, they’re already recruits themselves. And if the prospect of all this does appall you, you can’t even burn your draft card in protest, so better to salute smartly and obey. A good conduct medal will undoubtedly be coming your way soon. It wasn’t always so. I remember walking the streets of Worcester, Massachusetts, in my freshly pressed ROTC uniform in 1981. It was just six years after the Vietnam War ended in defeat and antiwar movies likeComing Home, The Deer Hunter, and Apocalypse Now were still fresh in people’s minds. (First Blood and the Rambo “stab-in-the-back” myth wouldn’t come along for another year.) I was aware of people looking at me not with hostility, but with a certain indifference mixed occasionally with barely disguised disdain. It bothered me slightly, but even then I knew that a healthy distrust of large standing militaries was in the American grain. No longer. Today, service members, when appearing in uniform, are universally applauded and repetitiously lauded as heroes. I’m not saying we should treat our troops with disdain, but as our history has shown us, genuflecting before them is not a healthy sign of respect. Consider it a sign as well that we really are all government issue now. If you think that’s an exaggeration, consider an old military officer’s manual I still have in my possession. It’s vintage 1950, approved by that great American, General George C. Marshall, Jr., the man most responsible for our country’s victory in World War II. It began with this reminder to the newly commissioned officer: “[O]n becoming an officer a man does not renounce any part of his fundamental character as an American citizen. He has simply signed on for the post-graduate course where one learns how to exercise authority in accordance with the spirit of liberty.” That may not be an easy thing to do, but the manual’s aim was to highlight the salutary tension between military authority and personal liberty that was the essence of the old citizen’s army. Those words were a sound antidote to government-issue authoritarianism and militarism — and they still are. Together we all need to do our bit, not as G.I. Joes and Janes, but as Citizen Joes and Janes, to put personal liberty and constitutional principles first. In the spirit of Ronald Reagan, who toldSoviet leader Mikhail Gorbachev to “tear down this [Berlin] wall,” isn’t it time to begin to tear down the walls of Fortress America and shed our militarized mindsets? Future generations of citizens will thank us, if we have the courage to do so. William J. Astore, a retired lieutenant colonel (USAF) and TomDispatch regular, edits the blog The Contrary Perspective. Follow TomDispatch on Twitter and join us on Facebook and Tumblr. Check out the newest Dispatch Book, Rebecca Solnit’s Men Explain Things to Me. After the Mueller Report, Should Trump Be Impeached?